Would you come and have a look at this fresh and a tip-top cozy nook where any dog can stay, play with friend dog(s), if OK with him or her, and relax. 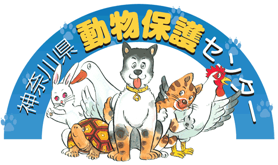 Nook’s owner couple are quite dog-lover persons, and are always full of thoughts about “What is best way for dogs”. We don’t leave your dog(s) alone even at midnight, once you entrust your dog(s) to our care. Could you give us as much information about your dog(s) habits,liking and disliking as possible to the good care. May not be able to keep your dog(s) by their breed. We ask you to show your ID, and dog’s certificate of vaccination, and prevention to Filaria, Flea and Tick extermination. We keep dogs by 30 minutes. During our business hours (9:00-19:00). We try to do a good entertainment with great care. We take your dog(s) for a walk as much as they’re satisfied. We dose a medicine on the veterinarian’s prescription. The vet. we know, will give you advice when it’s needed. We are spaciously laid out, so that any dog may have a relaxing time like at home, e.g. playing with favorite toys, sleeping in their own bed even on the sofa while they’re staying. We have 3 recommended good. Oven baked Lamb Chop which is also used for food for human beings, work against allergy and joint problems, with full of nutritious substances. Additive- free basis of Horse meat with plentiful of minerals. Additive- free full of DHA/EPA basis of Tuna which is used for human beings needs. Good for the stomach and intestine. Shampoo will be done carefully by shampoo specialist. We use shampoo with no additives to prevent allergy. We can help your dog(s) live in peace everyday at your home. We take your dog(s) for a walk and feed them the accustomed food. 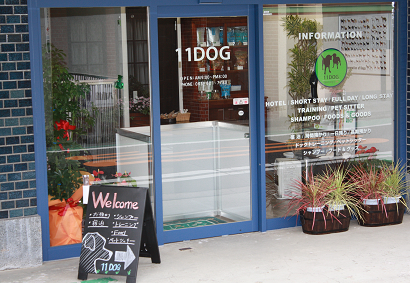 11DOG is a place where your dog(s) are cherished as a member of the family. For our mutual understanding and your dog(s) own good, we’d like you to have a little talk with us. We ask you for your booking in advance. To keep your dog(s) a happier and pleasant home environment, we ask you the earlier reservation. copyright©2013-2016 11DOG all rights reserved.